Few things are as satisfying as filleting a nice piece of fish or poultry in order to prepare a really nice dinner for you and your loved ones. In fact, as long as you are using a really sharp knife or, even better a special fillet knife the feeling is actually as addictive as that of popping bubble wrap. And the other great thing about it is that, by using the proper knife for the job, you can actually cut almost as well as a butcher would, although it may take you twice or three times the time it would take him. However, we do recommend that you try to fillet your own meat and, in order to do that you will need a good fillet knife. That means a knife that will hold its edge for weeks if not months even if you cut meat every day and, ideally, a knife that you can easily take with you wherever you go. That basically describes every knife that we selected as one of the top 10 best fillet knives of that you can check in the table below, and that you can get a detailed a review further down, after the table. 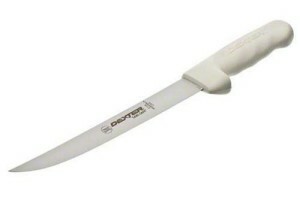 A good example of what we expect a fillet knife to be able to do and look like is the Wusthof 4622. 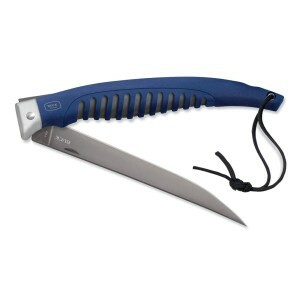 It comes with its own sheath so you can easily carry it wherever you go, fishing or hunting. Its blade is made from high carbon steel so it will keep its edge for a very long time even if you need to cut through fish bone. It uses the classic approach to providing the user with a very sharp edge in the sense that it uses a high quality steel that will keep its shape but that can also be sharpen in time. We also love the fact that the blade also forms the beginning of the hilt of the knife so piece of meat will not get trapped between the blade and the hilt. The Wusthof is a good example of what an excellent fillet knife should be like, but it is not our favorite because it is also one of the more expensive knives you will buy. There are several reasons why the Buck Silver Creek is one of our favorite fillet knives in this entire list, its relatively low price is definitely one of them. However, there is also the fact that the guys from Buck took a completely different approach to providing you with the sharpest edge possible. They chose to create an extremely sharp blade and then coated it in titanium. That basically means they created a blade that will not lose its sharpness for the lifetime of the knife. The downside to that is that if you scratch the coating, like if you try to sharpen the knife, you will expose the relatively soft steel underneath and the knife will be ruined. We also love the fact that the blade folds in so you can easily take this knife wherever you go. So far we have been looking at the type of knives you would take with you on a fishing or hunting expedition, but the truth is that most filleting knives will never leave your kitchen. If that is your case and that is the type of knife you need than the Dexter-Russell is the knife for you. It has a high density carbon steel blade that is both extremely very flexible but that also will keep its edge for a very long time. For many of us a blade made in Switzerland is still a guarantee of an incredibly well made knife and that is exactly what the Victorinox fillet knife is. 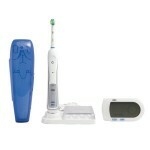 It is actually why it managed to drum up a 4.8 star rating on Amazon from more than 220 users. It is everything you would need from a fillet knife, with a high quality blade that is both flexible and also hard, and a high quality handle. It is the attention to detail that has really impressed us and most of the users of this knife. A good example is the Fibrox handle, perfectly textured so that it will not slip and perfectly weighted to keep the knife balanced. We have already featured one Buck fillet knife but we also hat to talk about the Buck 0225BLS simply because it is the best looking knife you could have in your kitchen. It almost looks better than a simple fillet knife and it somewhat resembles an assassin’s weapon. It uses the same titanium coating as the other Buck knife, only that this one is not foldable and that allows it to have a much longer blade. 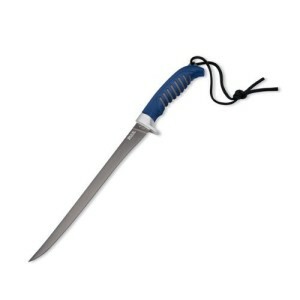 It also comes with its own sheath so, if you absolutely have to, you can take it with you on hunting or fishing trips. If the Buck we talked about earlier is the perfect kitchen fillet knife, the Rada Cutlery is the perfect filleting knife to take with you on trips, at least from a design point of view. This knife actually cries out adventure, fishing or hunting the wild and camping out with just a sleeping bag. 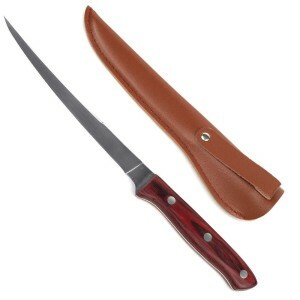 It is made from surgical grade carbon steel and it comes with its own leather sheath. 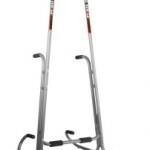 It even has a life time warranty which is one of the reasons why it earned a 4.9 star rating on Amazon. Besides Buck, there is only one other manufacturer that we absolutely had to feature here with 2 products, and that is Wusthof. They really impressed us with the Wusthof Gourmet fillet knife because each one of this knives is made in Germany and bears that world famous German quality seal. 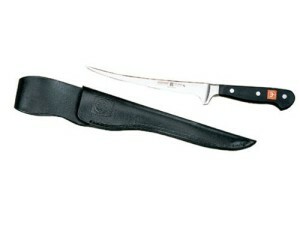 That and the quality of that leather sheave is why we had to include it in our top 10 best fillet knives of . We are going to finish our list with a couple of every inexpensive and yet of excellent quality, considering the price, fillet knives. The Kershaw is the first of them and it made our list because of the quality of the grip more than of the edge. It will cut well enough but you should make sure to keep dry it off after using it as there have been instances where the blade eventually rusted over. We also though we should include a fillet knife that is only intended to be used on fish and that is the Gone Fishing fillet knife. 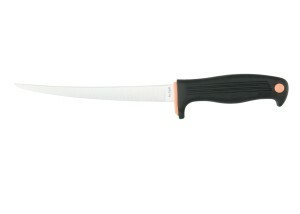 It has an extra long blade, perfect for filleting even big fish like wild salmon. The blade is made of a high quality steel and we really liked the look and feel of the traditional wood handle. However, there is a reason why most fillet knives do not use wood and that is because it can encourage bacterial growth. So if you are going to use this knife make sure to wash it thoroughly after each use. We still feel that it is best to manually fillet your own meat but we thought it would be fair to also include an electric knife in our top 10 best fillet knives of list. The Rapala Electric has the advantage that it is a relatively cheap knife and it will work well enough for anywhere between 3 and 5 fishing or hunting seasons.